Today’s image is the Capcom Gran Prix. This appeared on many promotional goods around ’97, but the only reasonable image I have of it is from the table of contents for the CFC Fan Book #3. (That’s why it has some writing over it.) I don’t think this has appeared in any other Capcom art books, but I’ll double check that later today. It’s a pretty busy piece, so I’m not really sure I know who all the characters are. 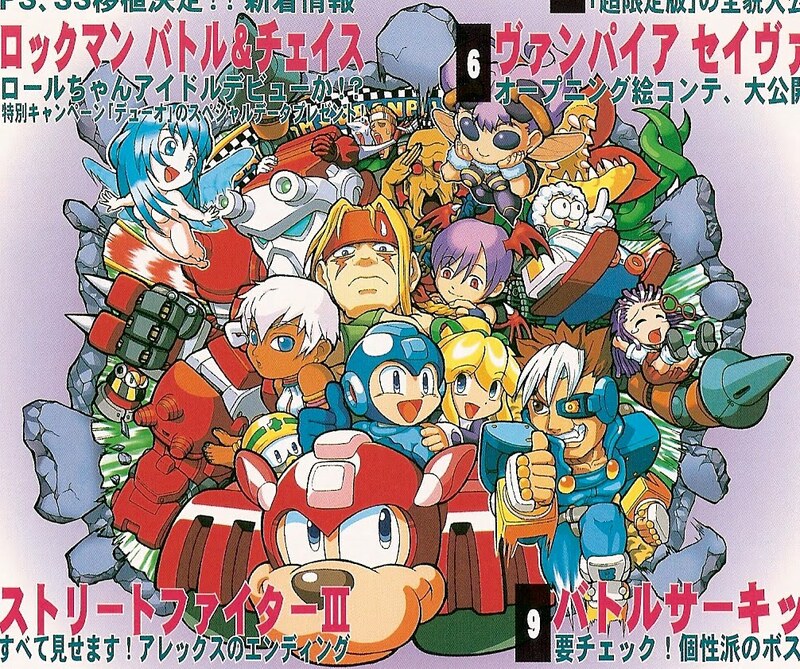 Some are from Street Fighter, Cyberbots, Battle Circuit, Vampire… and Rockman! I can’t help but laugh at Iceman’s expression.